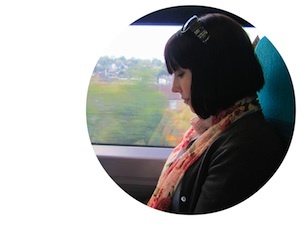 This guest blog is by Ava Apollo. 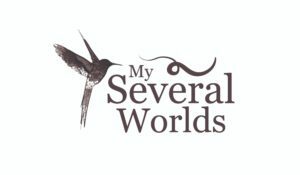 When she’s not writing for MSW, she’s blogging about adventure travel at bemytravelmuse.com. When I close my eyes real’ tight and try to picture “classic Asia,” I think of those fabled misty mountains sitting on a lake that I’ve seen in movies. I imagine flute music playing as the mist parts and the sun comes out to shine on pagodas and tea plantations. This is the Asian mystique Hollywood has painted for me. Of course, I never planned on actually stumbling upon such a place in any of my travels. That was, until I came to Sun Moon Lake in central Taiwan. Now, the first hurdle is actually getting to Sun Moon Lake – Taiwan’s largest lake. Luckily (and I mean very luckily, considering my navigation skills are that of a disoriented house fly), public transportation in Taiwan is among the best in the world, so this is an easy trip. From my home base in Taipei, myself and my fellow travelers hitched the high speed rail, or bullet train, to Taichung in central Taiwan (which is exactly what Taichung, pronounced “Tai-zhong” means – middle of Taiwan). The bullet train in itself is an experience to write home about, given that it can travel up to 300km/hr, making the 86 mile (138 km) trip possible in about 61 minutes. After the long (well not really that long) journey, you’ll most likely want to relax and get some grub. The Lalu Hotel provides one of the best vantage points for viewing the lake and surrounding mountains while sipping on some tea and eating dumplings. 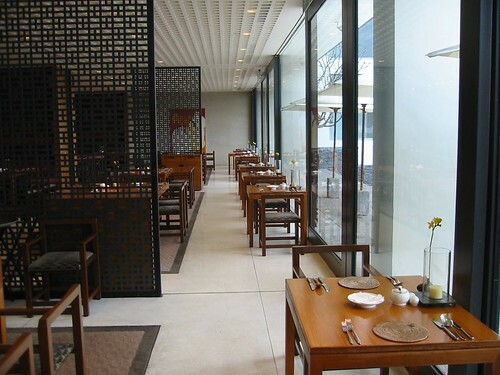 The Lalu boasts that it is the most luxurious hotel not only in this area, but in the whole if Taiwan. It is built on the lot that was formerly used for Chiang Kai-Shek’s vacation home, which alone is enough to qualify its status. The hotel features several eateries, ranging from reasonably affordable to downright decadent. Once you have a chance to unwind, it’s time to site see. For those who like to hike, Sun Moon is a great spot. The the mountains surrounding the lake provide eight (or fourteen, depending on which source you choose to believe) lovely trails that wind through tea plantations. My favorite is the Mt. Maolan Trail – an easy 3 mile hike which passes by the Tea Research and Extension Station, as well as the Black Tea Farm and the Weather Forecast Station. It was outside the Weather Station that I saw one of the largest spiders of my life. I have a neat picture of me in front of his web, mouth open, looking like I’m about to feast. 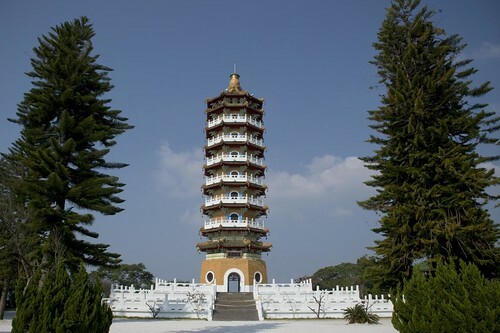 Tzuen Ta, the Pagoda of “filial virtue” was built near Sun Moon lake by Chiang Kai Shek in honor of his mother. The hike up is a steep one, but at the top there is a great photo op, plus the opportunity to climb up the Pagoda and ring the bell at the top. And honestly, ringing the bell was pretty cool. 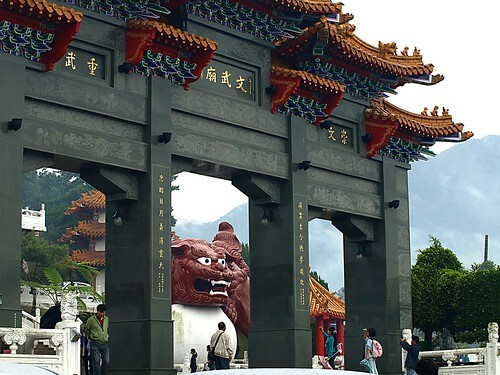 This Confucian temple was built in 1938 and is guarded by the two largest lion statues in Taiwan. It is richly decorated in golds and reds, and is worth checking out both for the view from the vista where it sits, and for the beautiful artwork and architecture seen inside. Lastly, it probably bears mentioning that Sun Moon lake is for looking rather than swimming, save for each September when a mass swimming event takes place. Although I didn’t get a chance to partake, I bet it’s quite an experience. If you find yourself in Taiwan, make it a point to see Sun Moon Lake. It is one of my favorite destinations and arguably one of the prettiest areas in Taiwan. Then Tweet me about it. If you like what you see and want to read more, visit my home blog or facebook page. Ava Apollo grew up in Southern California where she had exposure to a wide variety of languages and cultures. 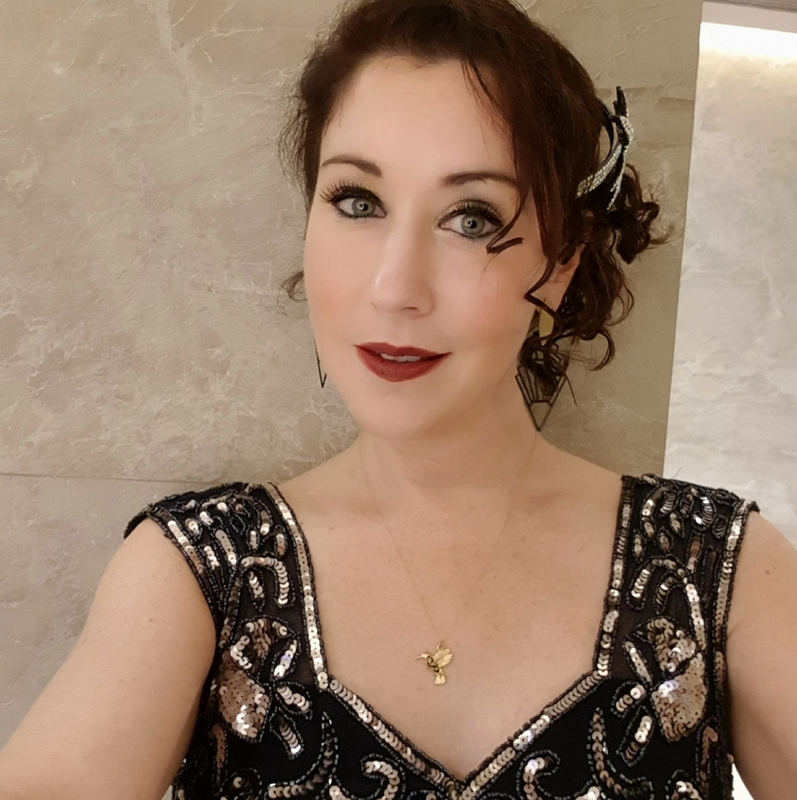 After her University years, Ava spent a year in Taipei where her love of Travel, Chinese language, and writing were intensified. 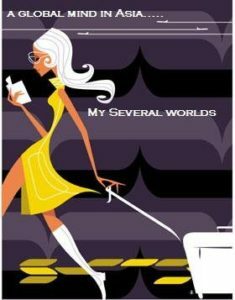 Ava has since returned to California, however, she remains a lover of writing about Asia and traveling the world. Find her at www.bemytravelmuse.com. 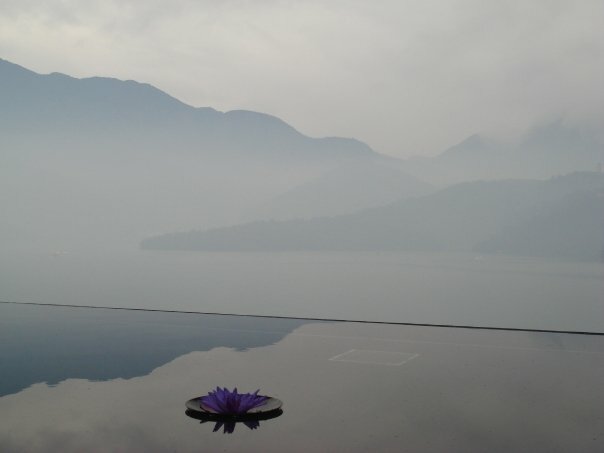 I agree, Sun Moon Lake is absolutely magnificent. I stayed at the Lalu a few years ago and it’s still one of my all-time favorite hotels. Fantastic ambience and class. Those pictures are amazing. It looks like such a calm and serene place to be. Exactly! It’s a great retreat, even just for a weekend, to unwind! Nice work, Ava. Lalu looks like a really nice place to stay at. I’ll be sure to give my hubby a big ‘hint hint’. Thanks Carrie! I was lucky enough to stay there since I went with the fam, and would definitely recommend it for a relaxing and romantic weekend. Do it! Thanks so much for posting this! I’m currently living in Yilan and my friend and I are considering a trip to Sun Moon lake in the near future. Your post was very informative and motivating (to get planning, haha). Let us know what you think if you make it out there! Looks like i have to consider my enthusiasm in my coming trip to Taiwan=) This looks good.